The Dolan Technology Center (DTC) Laboratory offers a variety of testing services. Many of these services require digital storage oscilloscopes (DSO) to visualize, measure, and analyze waveform signals. 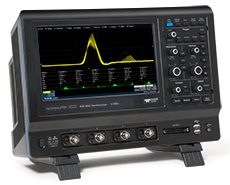 The oscilloscope is an important testing tool that is used not only in the Laboratory, but also in field applications. 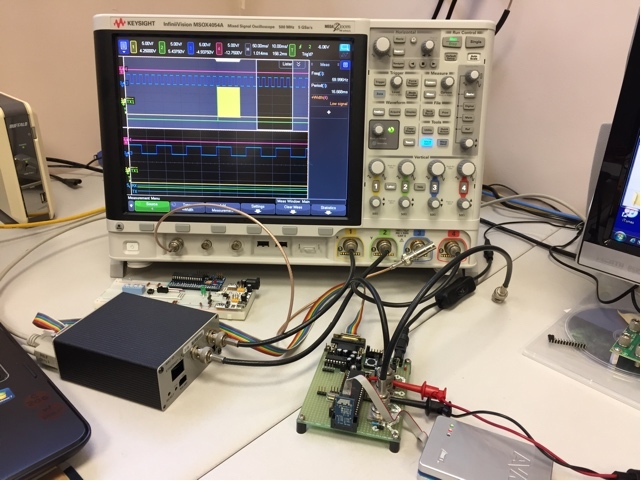 When designing, testing or troubleshooting circuits and systems, the oscilloscope is a vital instrument. 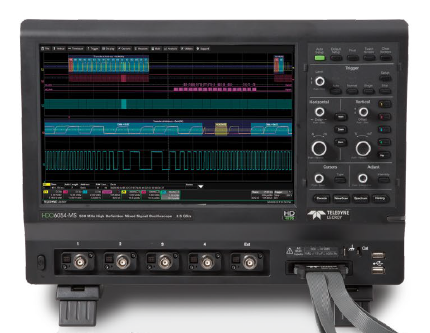 Basic oscilloscopes have evolved from their original analog architecture. Today, these are state of the art computer based digital instruments are called digital storage oscilloscope (DSO). Current DSO’s offer integrated instrument options found mostly in specialized instruments. 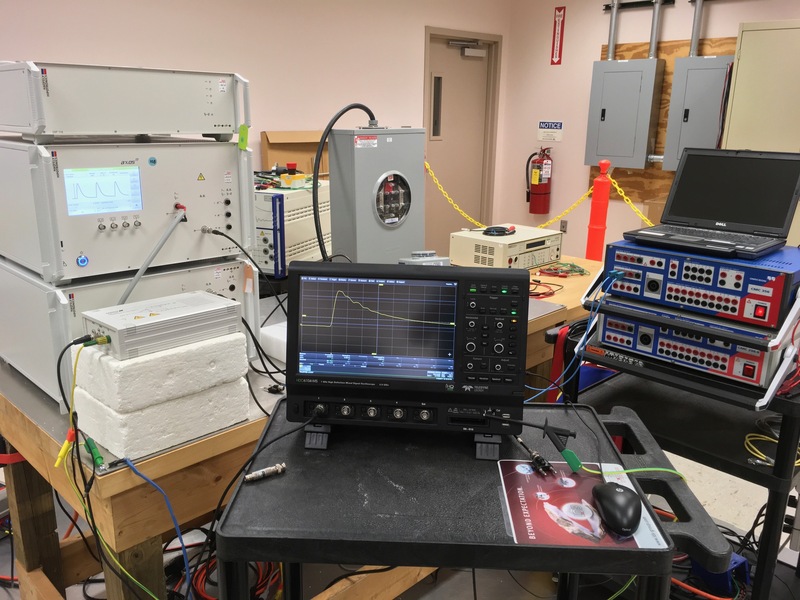 Some options include logic analyzer, serial communication protocol decoder, spectrum analyzer, waveform generator, voltmeter, frequency counter, power analyzer, and others. Available features now include advanced triggering, advanced math operations, and sophisticated parametric measurement capabilities and voice control. Available memory depth for sample acquisition have become as large 1Gpts (1 billion points). 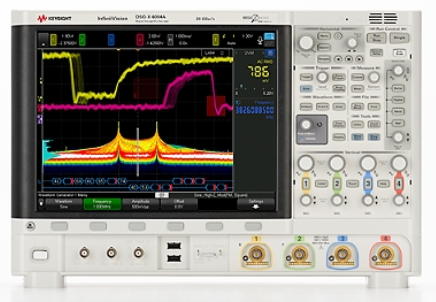 DSO’s with logic analyzer and other hardware level capabilities are now called mixed signal oscilloscopes (MSO). So how does the DTC leverage the capabilities of these instruments? The following photographs show a few examples of the oscilloscopes in use.